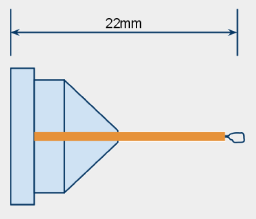 We support 18mm pins for both robotic and manual mounting. This makes the distance from the bottom of the base to the sample 22mm. 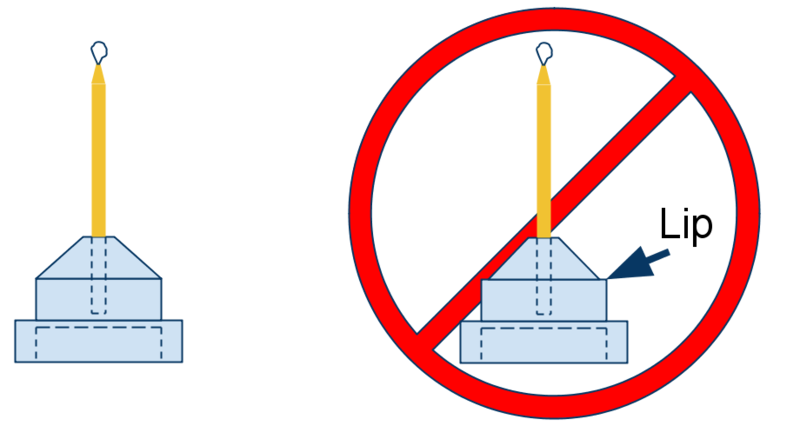 If your pins are too long or too short you will not be able to position your sample in the cryostream or into the x-ray beam. You cannot use these with the robot at all. We do not support them for manual mounting either: expect problems and some sample loss. Any of the "GOOD" caps work in either SPINE Baskets or ACTOR Magazines at LS-CAT. Vials are required in SPINE Baskets and forbidden in ACTOR Magazines. The Hampton "ALS" style caps (shown on the left) work with our cryotong grippers and most of the time with our SPINE grippers. Hampton also markets a non-ALS version of the same caps (shown on the right) that have a small lip which cause our robots to crash with the cryotong gripper 100% of the time. You will be required to mount these manually. Cap Materials: We rely on the magnetic properties of the caps to mount, collect data, and dismount your samples. Caps that have too little magnetic material or are magnetized opposite to our diffractometers will cause your samples to slip or fall off during transfer or data collection. Likewise, caps that have been strongly magnetized may fail to mount or dismount. Your best bet is to use the recommended caps and REMOVE RUSTY or DAMAGED CAPS FROM SERVICE. We do not yet have enough experience with Mitegen SPINE vials to say if they work 100% of the time. So far they appear to be fine. Please let us know if you are using them. Although the Hampton vials are sold as SPINE standard vials, they are too inconsistent in size to be used. If you bring Hampton vials for use with our robots we will suggest that you swap them out for Molecular Dimensions vials if we have them in stock.